As we sit at the cusp of the digital agriculture revolution, we can collect more data on seed, soil, crops and weather than ever before. We can also analyze this data in novel ways to provide farmers with actionable insights on how to best manage their farms more efficiently, profitably, and sustainably. 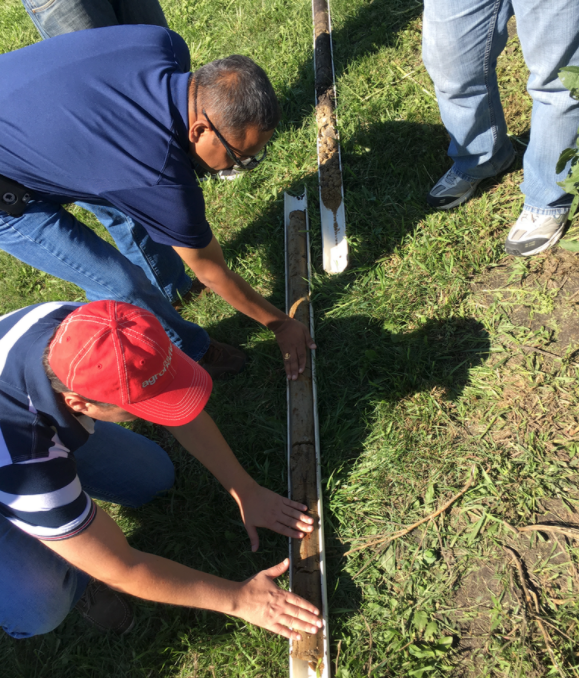 Ravi Sripada (left, Climate Fertility Field Science Lead) and Sotirios Archontoulis (right, Iowa St. University Professor) examine soil cores to a depth of 8 feet in August of 2017. At The Climate Corporation, we have invested heavily in our Climate Research Farms to conduct field-scale research, and we also work closely with our Research Partner Network to understand how Climate FieldViewTM performs on large-acre fields across the midwest. By combining data from our internal experiments, with data collected with FieldView™ and in our research partners’ fields, we are better able to understand how specific management practices add value across multiple locations and years. We are excited to partner with Monsanto in developing an Innovation Center near the campus of the University of Illinois at Urbana-Champaign to drive forward the confluence of agronomic and data science excellence. Agronomic research has been a mainstay in the Land-Grant University system since the Morrill Act in the 1860s. This research is in place to drive the mission of the land-grant: teaching, research and extension. 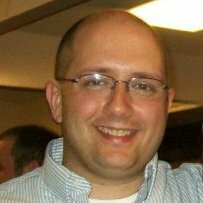 We collaborate with nearly 50 university and institutional faculty across more than 20 colleges and universities to refine and improve the science that underlies Climate FieldView, ranging from sponsored research agreements to enabling access to FieldViewTM Pro for teaching and research purposes. 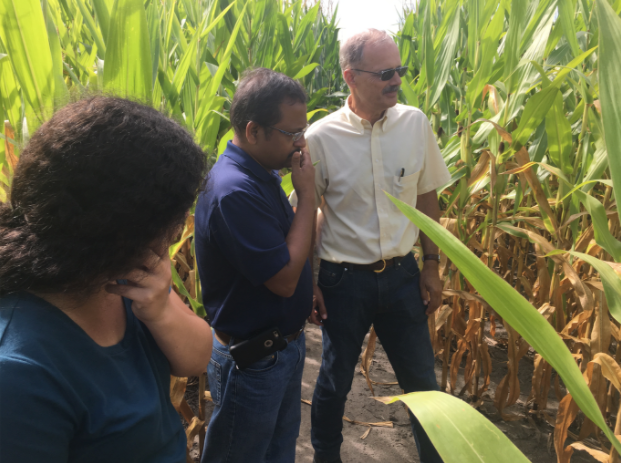 Left to Right: Lia Ocampo (Purdue Graduate Student), Ravi Sripada (Climate Fertility Field Science Lead) and Tony Vyn (Purdue Professor of Crop Physiology) discuss the nitrogen deficiency symptoms in corn. With these collaborations , we aim to provide mutual benefit, where we can leverage the expertise of university professors and students with years of research experience, while also giving insights into our cutting edge research and development and providing access to our industry leading digital tools. Over the coming months, we have invited guest bloggers from the academic community to discuss their research, and also how they envision modeling and measurements continuing to drive innovation toward our shared goal of making farmers more efficient, and productive through improved management practices. I am fortunate to work with some of the brightest minds in agriculture at The Climate Corporation. My colleagues are passionate about delivering value to farmers, those who supply the food, feed, fiber and fuel that are fundamental needs of our society. Partnerships create and accelerate new opportunities and insights for all involved. It’s for this reason that I am so passionate about the work that I do, where I have the privilege of helping farmers meet the needs of our growing planet. Frank Dohleman is the External Stakeholder Lead for The Climate Corporation Science Team, where his primary responsibilities include the strategic development and execution of academic and institutional partnerships. He previously worked as an Applied Plant Physiologist and as the Crop Physiology Lead at Monsanto. Frank received his Ph.D. in Plant Biology from the University of Illinois at Urbana-Champaign, and maintains active engagement in the academic community.